When we first saw the Moto 360 in person, we swooned over its handsome looks. Now, judging by these photos from Mister Gadget, we know its wireless charger is just as fetching. Oh, and it's definitely got a heart rate sensor, too. Hello, beautiful. 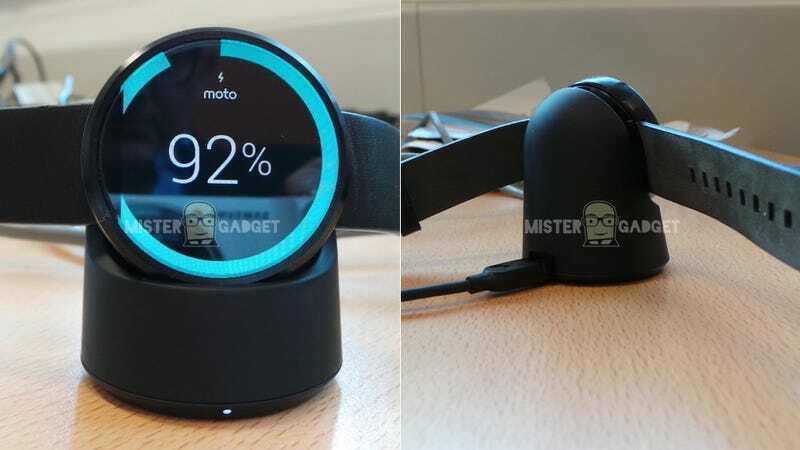 When we got a hands-on look at the Moto 360, Motorola wasn't commenting on the presence or absence of a heart rate sensor, but Mister Gadget's watch spells it all out: optical heart rate sensor and wireless charging. Bam.